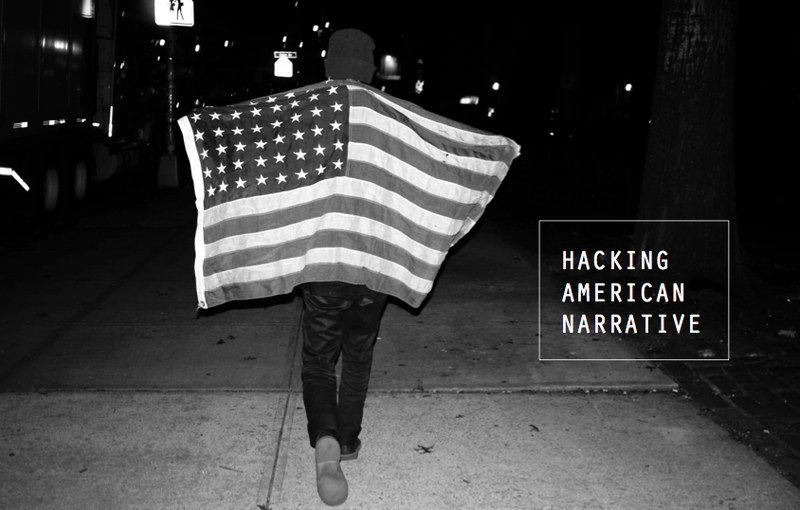 We’re thrilled to announce our next Digital Storytelling Lab “Hacking American Narrative” on Sunday, February 15th. Through a collaboration with BLK SHP, Peter Sims, Alexa Clay, and an amazing group of thinkers and doers, we’ll kickoff an exciting project that will travel the US later this spring. This lab will be limited to 30 participants due to space constraints. To apply please see the application form below. Hacking American Narrative will explore and interrogate cultural narratives of America as part of BLK SHP’s upcoming cross-country bus tour, America’s True North. The purpose of the Lab is to craft our narrative and refine our intervention for our summer road trip. We’ll aim to explore themes of American authenticity and agency through storytelling. The structure of the Lab will be a blend of meditative inquiry and rapid prototyping. What is the role of story in culture change? What narratives feel true to the American experience? What narratives feel expired or polluted? What mediums and technologies can we use to amplify the experiences and insights of those on the bus tour and those whom we encounter? What key messages and insights feel central to the narrative we want to craft? What narratives do we want to stay away from?